I have long thought that when a customer comes to your website they should experience their visit like they would if they walked into your store or office. As a customer when you walk into Home Depot there are people their to help you find what you need, large signs pointing you in the right direction and items group together by use or area of the house. You should expect the same thing when you visit their online or mobile store. The web is no longer about just making a pretty site, usability has become a commodity and creating a great user experience has become the focus. Here is a great article on The 5 Key Principles of Good Website Usability and using User Centered Design. Touching on topics such as Simplicity, Familiarity, Consistency, Guidance, Direct Feedback and Good information architecture. 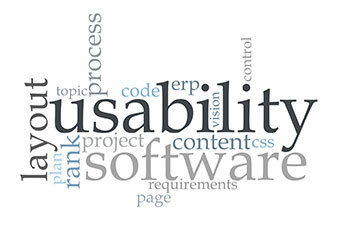 Good usability is not attained overnight and requires thorough testing, user research and refining. Good usability depends on whether your website is available, clear, credible, learnable, and relevant to the people who actually use it.